Oyster Point seniors get to take part of what may be the best dumb teenage antic excuse in history: a scavenger hunt. Mary and her friends, Patrick, Winter, and Dez, are planning to make this their last hurrah after four years of being slighted and made second-tier to bully Jack Barbone and his popular crowd. But as the night goes on and friendships are tested Mary may need to discover more than just some esoteric items if she's going to make this the best night of her (pathetic) life. Narrative-wise, the book starts off a little clunky. The first twenty pages are chock to the brim full of exposition, the who's who, the history of the friends, the random asides or observations, and a solid foundation of just why Mary desperately wants to beat Barbone in this thing. While the tone is authentic in its scattered and rushed teenager way, it comes off more like someone saying "so this person--who looks like this and you know them from this--is doing that, I'm going to fill you in on the details" and not as a seamless immersion into the story. But for people who are turned off by that, it immediately starts to mellow out once the scavenger hunt gets on the way and, like I said, it really tells you what kind of a person Mary is. 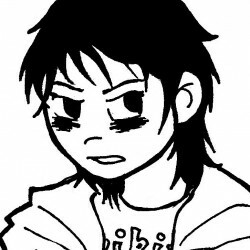 For the record, Mary is not the easiest protagonist to like. Actually, three out of the four kids I had issues warming up to as the novel started. Mary is high strung and has, quite possibly, the most terrible romantic sense ever. Patrick has a few ugly moments of entitlement as he tries to break out of the friendzone that has been the foundation of his relationship with Mary. Winter is going through some issues that brings her into conflict with not only her teammates but other scavenger teams. But this is all made up for because Dez is awesome and his dad is awesome and basically he's the heart of the team which shows when he has to be sent to the hospital after one of Barbone's teammates sprains his wrist and the rest of his team does a small interpersonal implosion after he's gone. But they're interesting and you want to know more about Mary, even if you spend some time yelling at her to get a clue. Not a scavenger clue, a reality clue. However, the best and most excitingly awesome part about this book is the scavenger hunt. It's a mixture of rare items, things they can build, find, write about, and some trivia quizzes, which may lead to clues for bigger point scores. This kind of adventure was something I wish I had for senior year, and Altebrando gives out a full list of the items because I think she knows that readers want to try it too. Obviously, some of the quests and the pressure of finding enough points to win the game leads to stress and issues that crop up amongst the group and their rival teams. Some of the scenes might read a little too on the nose for example, the part where Mary details to a Burger King worker that they're more deserving of the scavenger item crown because they're geeks and were mocked or insulted by rival teams, so he would know what they feel like but, honestly, I didn't care. It kept me turning pages, even when the characters took time out to deal with non-scavenger related messes. I wanted to see if they would win. I wanted to see if Mary would reach a moment where she figured out what was more important than winning and, if so, what that would be. 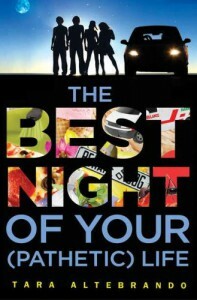 "The Best Night of Your (Pathetic) Life" is not the best book I've ever read in my (pathetic) life, but it's fun, compelling, full of characters who grow on you even if you sometimes want to smack them. So, teenagers basically. The ending isn't a typical good guys win, the scavenger hunt parts really make me want to do things like build a dodecahedron made out of dixie cups or listen to Blue Oyster Cult, and I breezed through it in a day wishing there was more of it to read. If you're looking for a quirky end-of-school summer novel that really encapsulates the idea of doing something great and wild before you head off to a new stage in life, this book is amazing. And one closing spoilerific observation. THANK YOU, A BOOK WHERE ROMANCE IS THERE AND THE GIRL ENDS UP WITH NOBODY AND IS PERFECTLY HAPPY FOR IT. Even though I would be totally okay if Altebrando wrote Mary and Lucas Wells developing a thing later in some other book. I love that Mary gives up on her long-time crush on Carson and Patrick backs off on his crush on her. I LOVE IT.